‘Buyers are in heaven right now’ proclaimed the country sales manager for one of the top 5 global IT vendors recently. But if buyers are in heaven, what does that mean for sellers? ‘Slashed budgets mean that it has never been a better time to be a buyer’ he went on to explain, then adding with a quip ‘in times like these they get to say ‘no’ a lot more’. The manager was saying something that every seller knows – there has been a resurgence of the power of the purchasing department. Buying has been elevated to new levels of importance and buyers have more clout than ever before. The professional buyer has written what is in effect the Bible on organisational spending, something that they like to call Buying Process. Those projects, managers and suppliers than don’t follow its commandments are being punished. To ensure compliance with budgets, priorities and buying process the professional buyer is sitting in on more and more meetings, presentations and most important of all purchase decisions. They have straight-jacketed managers curtailing their purchasing autonomy and are vetting even relatively small purchases. Are Professional Buyers More Difficult To Sell To? As sales people we have traditionally regarded buyers as bureaucrats and barriers to the sale. This is compounded by the fact that in today’s budget-slashing culture they are in effect the spending police. But is the notion that professional buyers are inherently more difficult to sell to really true? If buyers are in heaven, with more projects and purchases derailed, it must mean sellers are in hell, or at least in purgatory. But, is it really buying that is to blame? Purchasing simply have a job to do (a very important job in the present environment) and it is the failure of salespeople to recognize and adapt to this role that causes unnecessary problems. This buyers have told us in no uncertain terms. Having spent so much time with buyers in our quest for a world that combines both better buying and better selling, we prefer to see the buyer as the ally rather than the enemy. We have written elsewhere on the changed role of purchasing in today’s environment and indeed celebrated what we describe as The Golden Age of Modern Buying. 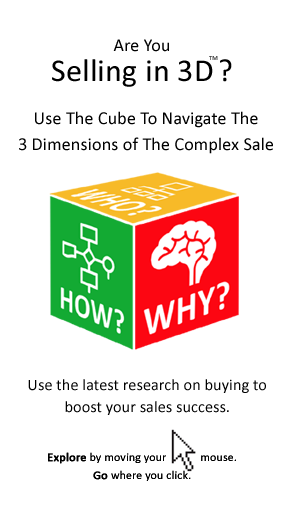 We have also set out the implications for salespeople and most importantly how buyer and seller can and must be aligned. The professional buyer’s role is more important than ever and his, or her role in wanting to ensure the best allocation of scarce organisation resources should be one that is shared by the salesperson. 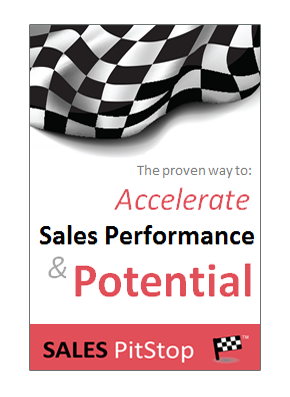 Move beyond selling products and features, to selling results. Quantify the benefits, use the buyer’s metrics and help to build the business case for the purchase. After all a sales proposal won’t be enough to get the purchase sanctioned. Help the buyer to address the issue of risk, in all its forms. Help the buyer to manage and indeed minimize risk, for example through small, or staged commitments. Engage more deeply and consult more widely, recognizing the fact that buying decisions are now being made higher and wider. Help the buyer to do more for less, even help the buyer to explore the do it in-house option. Recognize the fact that the main competitor is generally not a competing supplier, but another project competing for scarce internal resources. Understand and respect internal buying process, rather than trying to skip a step in order to accelerate the sale, help the buyer to navigate all the internal requirements that exist. Engage meaningfully with purchasing, understanding their requirements. Don’t underestimate the buyer and don’t make the assumption that you know more than him/her. They often know a lot more than they let on. Don’t break the rules of engagement that either explicitly, or implicitly govern access to information and stakeholders. Remember access is a privilege to be earned, not an automatic entitlement. Get involved earlier. Sellers who wait for the buyer’s call are increasingly being drawn into a competitive bidding situation.